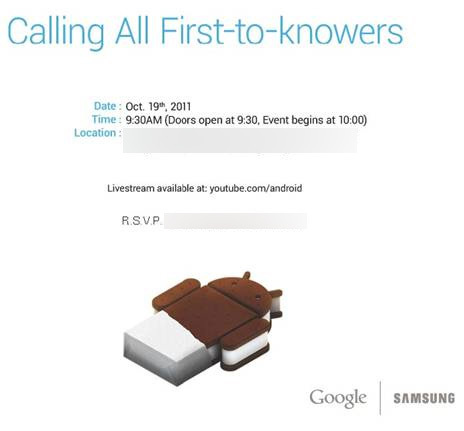 So the new date for Google/Samsung Nexus event is confirmed. The 19th of October, in Hong Kong. The event starts at 10AM local time. For everyone reading this on Tuesday 18th, that's early tomorrow morning at 3AM (UK). Hong Kong seems like a strange place to host the event for me but I will try my best to get up and follow the event. Hopefully, it'll be worth it. I am expecting big things with Larry Page saying "You won't believe what we have managed to do in this release" and "I'm super excited". Lets hope it's as "incredible" as it sounds. Remember you can still watch the event live online at their youtube page. To read more news on the ICS statue being unveiled, a video of ICS running on a Samsung Galaxy SII and how Android is helping Sony Ericsson turning its fortunes around, hit the little 'Continue Reading' button. So the new version of Android finally has the traditional statue to go with it. Watch the video of the Google staff positioning the Ice-Cream Sandwich statue next to the other Android themed attractions. @Android is finally official on twitter. If there ever was an account that deserves a #FF, that is one of them. Click here to go directly to their profile. Their latest tweet teases their upcoming event from tomorrow. Some sad news this week in the latest Samsung vs. Apple battle. The Australian courts have banned the Galaxy Tab 10.1 from being sold in the country. 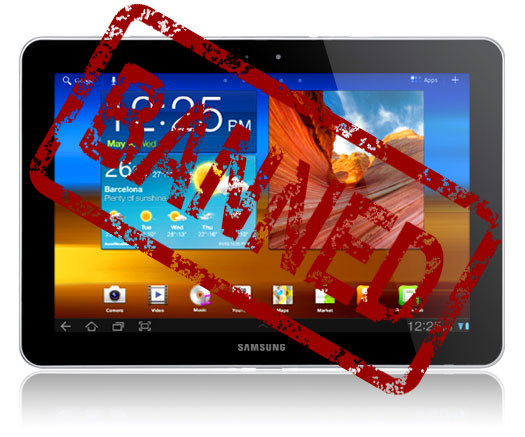 Samsung are accused of 'copying' technology from the iPad. The tab cannot go on sale until the pending patent suit is resolved. At their latest Q3 earnings call, Google announce $9.72 billion of revenue (33% increase on last year). Google also announced that Google+ has over 40 Million users and more importantly there are now 190 Million Android phones active around the world. They also went on to promise to protect the Android Ecosystem and its Partners. Sounds promising from Google and hopefully they will continue to provide its partners with more patents to do battle with. Although SE sales are down by 9% from last year in the third quarter, they have announced that 80% of their sales (equalling 22 Million phones) are Android Xperia Phones. While Sony Ericsson acknowledge that the loss is due to smartphones being more expensive than their usual standard mobile phones causing therefore a decrease in shipments, they are optimistic for next year as they continue to push in the booming smartphone industry. Motorola is promising a "Faster. Thinner. Smarter. Stronger." phone. 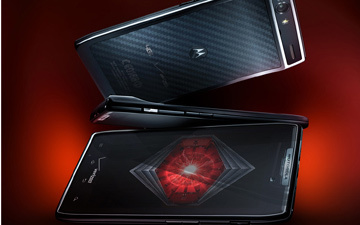 The rumours are that Motorola is bringing back the RAZR brand to try to push smatphone sales. While it is thought that the a deal is in place for Verizon to be an exclusive partner, there is no news of the phone hitting Europe at all. The Motorola event is later today with rumours that we might get a sneak-peak of Ice-Cream Sandwich before the Hong Kong Event. UPDATE: Eric Schmidt is at the Motorola/Verizon event. UPDATE 2: Looks like no Android 4.0 news. We just have to bare a few more hours to go for the Nexus Event! [youtube http://www.youtube.com/watch?v=JTF5kFlefHU&w=640&h=360] A new video has surfaced of a Galaxy SII running ICS. While there is no way of confirming that it is actually Ice-Cream Sandwich running on the phone or whether it is just a theme that closely resembles it, it's good to see that the next version of Android is being ported over to devices.